D3T was founded in 2007 as the first terminal in Germany owned by a shipping company – operations started in january 2008. 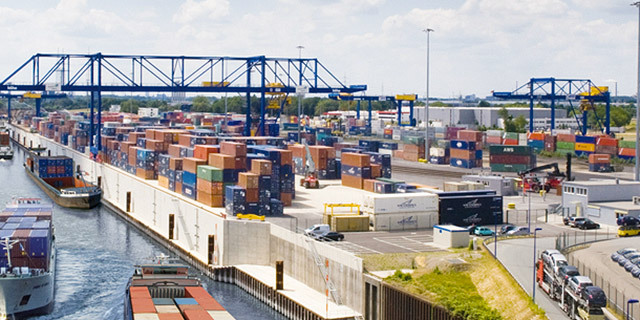 As a trimodale container terminal we handle containers for the shipping companies CMA-CGM, NYK and the Port of Duisburg. Thanks to D3T’s optimal location at logport, Duisburg Rheinhausen, we can quickly reach our nearby customers and the short distance to the A40 and A57 Autobahn allow us for very quick connections to our customers in the hinterland of Duisburg, too. We are connected optimally to the Deutsche Bahn railway network and run daily connections by train and barge to Rotterdam and Antwerp.